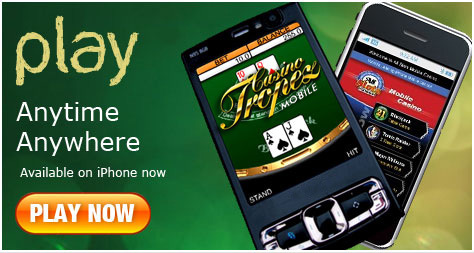 Video poker, also known as Draw poker is one of the most popular casino games today. Some of the best features of video poker game include a lower house edge, the possibility of higher constant wins, and playing it alone. The main aim of the player in the video poker game is based on 5 card draw poker. That is the player has to form a five card hand with the best possible card combination. The first video poker machines were developed in 1970. It got more popular in 1979 when Draw Poker was developed by International Game Technology. In 1980s, Video Poker became more popular in land based casinos. And in 1990s its popularity grew in online casinos. Jacks or Better: In Jacks-or-Better, pay outs begin at a pair of jacks or better of it. It is also called a 9/6 machine because it offers a 9-to-1 pay out for a full house and a 6-to-1 pay out for a flush. Deuces Wild: In Deuces Wild, all four deuces i.e. 2’s are wild cards. If a player gets all four deuces, he wins a mini-jackpot. A Deuces Wild machine does not pay out for any pair or a two pair. The lowest paying combination in this game is for three-of-a-kind hand. Bonus Poker: It is a variation of Jacks-or-Better. In this game, a higher payout is given for four-of-a-kind. Different bonuses are also paid based on the ranking of the cards in the four-of-a-kind hand. Double Bonus: It is also a variation of Jacks-or-Better in which a bonus is paid out for four aces. Double Double Bonus: In this variation, bonuses are given for different four-of-a-kind hands. Anything's Wild: It is similar to Deuces Wild except that the player chooses a wild card by rank, after dealing with the first five cards. Deuces and Joker Wild: In this variation, all deuces and one joker are considered as wild cards. Joker Wild: In this variation, one joker card serves as a wild card. Ace Invaders: It is a three-line video poker in which the top two lines are stud poker and the bottom line is a bonus poker game based on Five-Card Draw. The game checks the top line for a paying combination and then pays out for that. If any of the cards in the top line are aces or would help create a royal flush in the second line, they drop down and become part of the second hand. Aces & Faces: It is a video poker game based on 8/5 Jacks-or-Better, with increased payouts for four-of-a-kind with aces or face cards. Super Aces: It is also known as "All Aces". It is a video poker variation based on Jacks-or-Better, but with an increased payout for four-of-a-kind and an even bigger payout for four aces. King of the Decks: In this game, five decks of cards are used. If a player gets five kings of clubs, he wins the progressive jackpot.